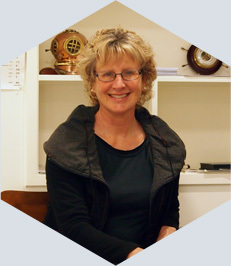 Nelson Maritime and Dive Medicals is run by Dr Glenda Barber, a General Practitioner working in Nelson, NZ. She is a Fellow of the Royal College of General Practitioners and has worked as a medical advisor to Fishing Companies and Deep Sea Fishing Vessels for a number of years. She is a Maritime Medic Instructor for St John and the Company Doctor for Sealord Group Ltd.
Dr Barber is a Designated Doctor for Maritime NZ, AMSA (Australian Maritime Safety Authority), the Norwegian Maritime Authority, and Worksafe NZ for Dive Medicals. She holds a Basic and Advanced Dive Medical Certificate from the Royal Adelaide Hospital, Australia. She is a diver herself, and has dived both here in NZ and overseas.